Time for a Bit of Hygge! Being with the ones we love, creating happy experiences, atmosphere and a homely environment, who doesn't love a bit of Hygge! Although Christmas has come and gone, I am still working on my Christmas portfolio along with a whole host of other lovely peeps led by Victoria Johnson. Yup, I signed up for a second round of Create Christmas and week 1 was all about Christmas Hygge. Perfect while the temperatures outside are on the minus scale, the wind is howling and the rain is unrelenting. 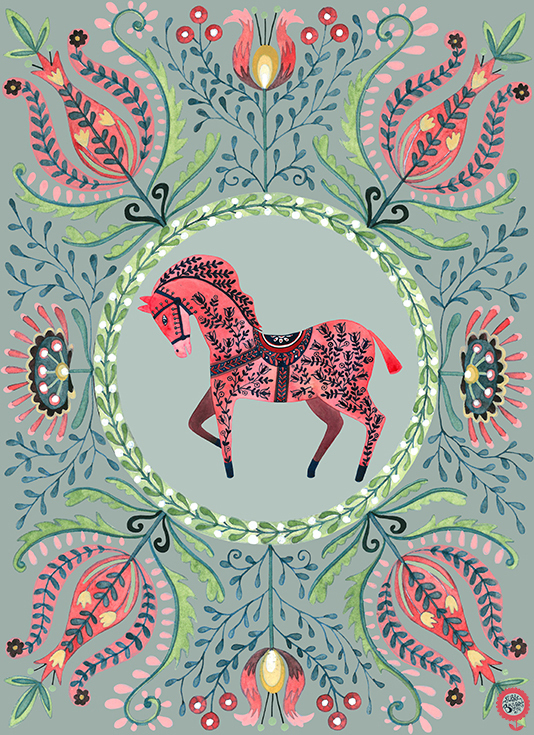 So, here's my take on a folk design with a Swedish Dala Horse.